Please join Dr. Robbi Hershon and Dr. Debra Knapp in their office on May 9th, 10th or 11th for a complimentary hearing consultation and to learn more about two products from Phonak: the new Virto B Titanium IIC and Lyric extended wear hearing aid. The Virto B Titanium IIC is made from medical grade titanium enabling the device to be super discreet, durable and lightweight. The hearing aid features Phonak’s Auto sense automatic operating system which switches programs automatically as your listening environment changes. 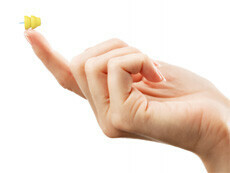 The Lyric extended wear hearing aid is the most discreet hearing aid. Made to be worn 24/7 the hearing aid is now available in even more sizes, XXS and XXL enabling us to fit more patients. Lyric is 100% invisible and has a natural sound quality allowing for effortless hearing all day, every day. Please call us at 973-542-4031 to schedule an appointment. Let The Hearing Group help you improve your quality of life. Please join us in our office on Tuesday April 18, Wednesday April 19 or Thursday April 20 for a complimentary hearing consultation and demonstration of Oticon’s newest hearing aid the Opn. Available in 3 levels of technology to fit any budget and lifestyle this hearing aid provides for excellent listening ability in even the most challenging listening environments such as restaurants or your holiday gathering. This made for iphone hearing aid provides superior listening in complex listening environments. The Oticon Opn can connect to any Apple product such as an iPad or iPhone wirelessly. Stream your phone calls, music or movies directly into your hearing aids. Control your hearing aids with the downloadable app. Let our Doctors of Audiology at The Hearing Group help you improve your life and your listening. Call our office at 973-542-4031 to schedule an appointment. We’d like to introduce you to Eddy the Ear – the ear-resistible star of a new video series, “Conversations with Eddy the Ear”, sponsored by CaptionCall. This video is the first in a series of entertaining short video segments created to help your patients be ear-responsible. Eddy is a quirky, puny, lovable, giant ear who embarks on a journey of discovery, from recognizing he’s having a little trouble hearing in certain settings to eventually taking action by seeking treatment for his hearing loss. In the first video, you get a peek into the life of Eddy the Ear and how his human could have been more proactive with hearing protection. 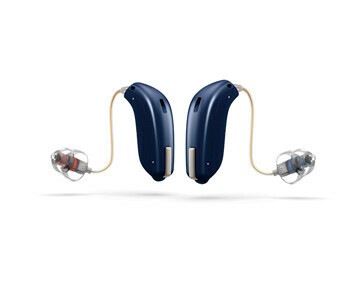 We have been fitting the latest hearing aid from Widex, the Beyond. Available in 3 levels of technology to fit most budgets this hearing aid has gotten rave reviews. The Widex Beyond series of hearing aids provides for outstanding ability to hear conversation in difficult situations such as noisy restaurants and groups. It is also made for iPhone enabling one to connect wirelessly to any Apple product. The downloadable app allows the user to adjust volume, focus the direction of the microphones and adjust base, middle and treble. Call The Hearing Group today at 973-542-4031 for a complimentary demonstration of this hew hearing aid. Please join us for an open house featuring Oticon’s newest hearing devices the Opn1, Opn2 and Opn3. These devices improve one’s ability to hear in noisy environments and are also made for iPhone. With the release of the Opn2 and Opn3 we are now able to fit every budget. Schedule your appointment for a complimentary hearing consultation and demonstration of these great hearing aids from Oticon. Call our office at (973) 542-4031 to schedule an appointment. We’d like to take this time to thank everyone for making 2016 a wonderful year. So that we may spend time over the holiday season with family and friends our office will be closed Monday December 26, 2016 and Monday January 2 2017. We’d like to wish everyone a Merry Christmas, Happy Hanukkah and a Happy New Year. An article in yesterday’s New York Times reported that headphones made specifically for children that claim to restrict volume did not do as good of a job as they claim. The times compared 30 sets of children’s headphones and found that one half of them did not restrict the volume as much as they reported to do. Keep in mind that the only kind of hearing loss that we can prevent is hearing loss caused by exposure to loud sound. On November 29th, 2016 Oticon launched their 2 newest hearing aids on the Velox platform: the Opn 2 and Opn 3. These 2 new hearing aids combined with the Opn 1 provide outstanding performance in five key areas: open access to all speakers, rapid noise reduction, sound localization, speech clarity and personalized listening experience. With three performance levels and enhanced power options, the Opn family allows end users to choose the level of BrainHearing™ support that best suits their individual listening needs, personal preferences and budgets. Please give our office a call at (973) 542-4031 to schedule an appointment to listen to and find our more about these great hearing devices. All of us at The Hearing Group would like to wish our patients and their families a happy and safe Thanksgiving. So that we may spend time with our families for the holiday our office will be closed Thursday November 24th and 25th. We will re-open on Monday November 28th.